Over the past few years, I've gone back and forth with trying to decide if eating vegan would be a suitable decision for me and for my lifestyle. While vegan means absolutely no animal products, it doesn't necessarily mean that I'd be eating only salads and wheat germ. 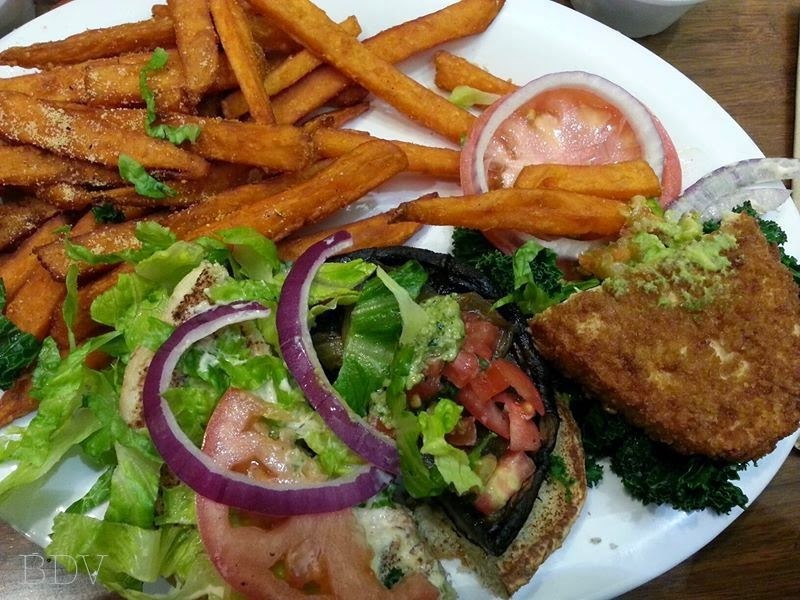 The following images are of some vegan dishes I've eaten at some of the wonderful vegan/vegetarian restaurants here in Seattle. Two types of "burgers" from Veggie Grill: half a Portabella Mushroom burger, and half a southwest 'chick'n' burger - yes, a vegan one made from wheat and soy(?). 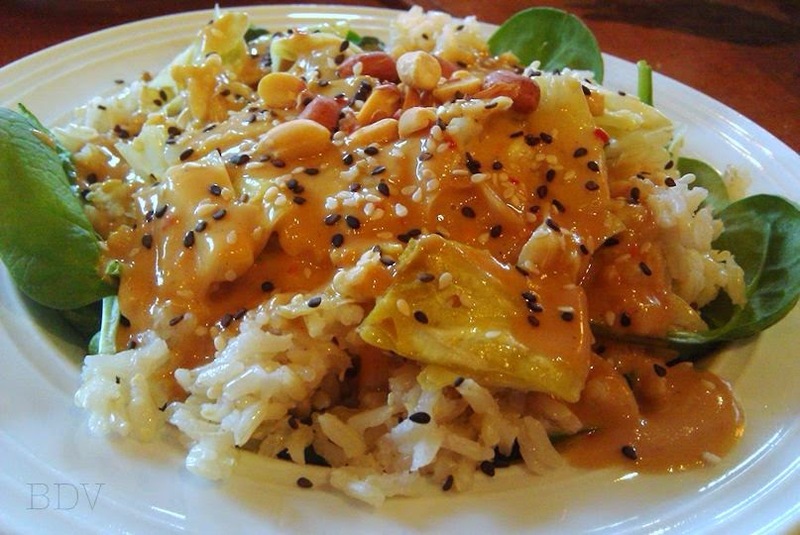 Probably one of the most satisfying vegan Thai dishes available sans soy - served by my favorite Seattle restaurant, Chaco Canyon Cafe. 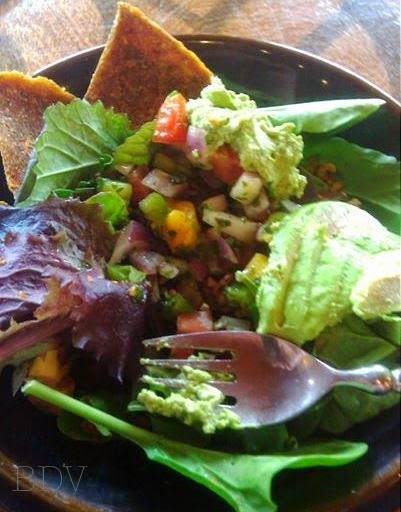 And a return visit to Chaco Canyon resulted in this completely delicious raw taco salad. Yes, those chips are made from raw ingredients. 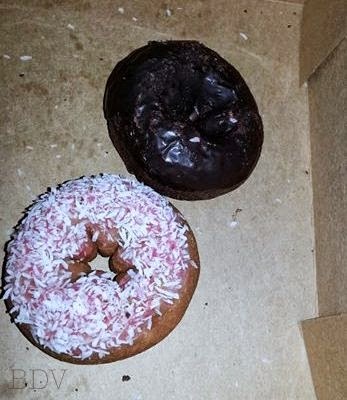 Finally, who knew that a doughnut could be vegan? Well, this just means that there are no eggs, dairy, honey, or gelatin in the product. These are from the ever-delicious Mighty-O shop in Wallingford, but they do make deliveries to the Greenwood Fred Meyer if Wallingford is much too far away.